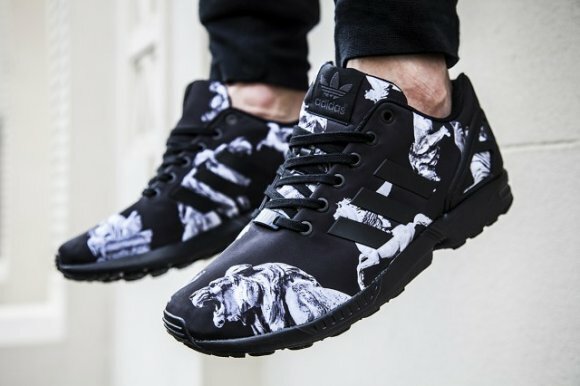 Mythological symbols have been used throughout streetwear and sneakers before and now, Adidas is implementing Roman style figures on their Adidas ZX Flux model. 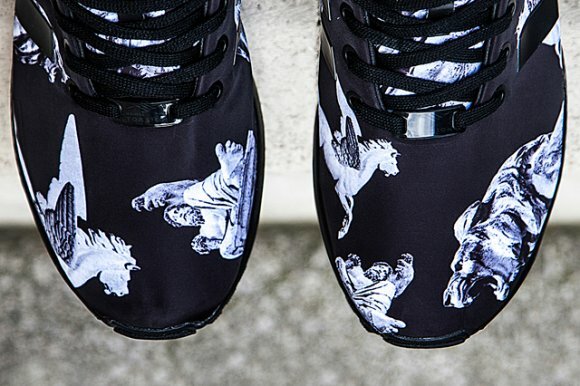 The latest rendition dubbed “Mythology, features Pegasus, Lions and Roman Statues on the uppers on a black base. These are reportedly only available in Europe so for those looking for a pair, hit up your overseas connects.